Q: what is your eCoupon policy? A: Customers registered on our website can periodically load eCoupons to their BONUSCARD from their account. After eCoupons are loaded, the discount will automatically be applied at checkout if the qualifying product(s) are purchased using the same Loyalty card the offers were loaded to. eCoupons have an expiration date that is communicated on the website. eCoupons will not double or triple. eCoupons can be used in conjunction with manufacturer coupons and paper store coupons for the same item. Q: what is your policy for redeeming manufacturers’ coupons? A: Our stores accept all manufacturer coupons. Exception are any items excluded by state regulations. 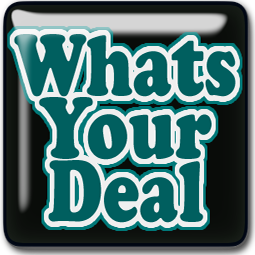 A: Free item manufacturer coupons may be used in conjunction with store instant BOGO offers. Example: 1st item scanned (manufacturer free coupon applied), 2nd item scanned (store BOGO applied). Both items are free to the customer. A: Our stores issue both manufacturer and store coupons from the Catalina printers at the time of checkout. Q: What is your policy on store coupons? A: A paper store coupon, electronic store coupon and a manufacturer coupon may be redeemed on the same item. If the combined value for the coupons used exceeds the price of the item, the item is free. The manufacturer’s coupon will be deducted first, and then the store coupon will be adjusted so that it does not exceed the price of the item. Store coupons cannot be doubled or tripled. Q: what is your coupon policy? The customer must purchase the item to which the coupon applies. A store coupon and a manufacturer coupon may be redeemed on the same item. If the combined value for both coupons used exceeds the price of the item, the item is free. The manufacturer’s coupon will be deducted first, then the store coupon will be adjusted so that it does not exceed the price of the item. We do not accept coupons from competitors. We do not accept altered or tampered (i.e. expiration date cut off) or Xerox copied coupons. The value of the coupon may not exceed the price of the item. Q: what is your double or triple coupon policy? A: In order for a coupon to be doubled, the Customer must use their BONUSCARD. In order for a coupon to be doubled, the Customer must use their BONUSCARD. The Double Coupon Policy does not apply to FREE coupons, checkout coupons, Act Media coupons (where applicable), eCoupons, or store coupons. The total doubled value can not exceed the price of the item. Up to an additional 15 identical manufacturer’s coupons can be redeemed at face value for a total of 16 identical manufacturer’s coupons. Double Coupon limits can vary. Contact your local store for details. Q: do you accept competitor’s coupons? A: No. GIANT does not accept competitor’s coupons. Q: do you accept internet coupons? Q: can I redeem coupons on my gift card purchases? A” GIANT does not accept coupons of any type for the purchase of gift cards.